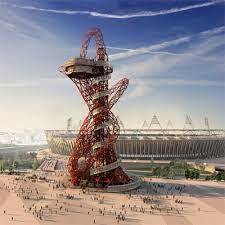 If you’re looking for things to do this Half Term, then definitely check out the ArcelorMittal Orbit in the Olympic Park. It’s the UK’s tallest sculpture and now you can head to the top to see London from it’s observation deck. Plus, this May half term, the Orbit are annoucing their newest recruits – a team of three hawks as their mascots! And they’re running a cool competition where all the visitors get to help choose their names! The three names will be picked on Monday 2 June and you could then win the chance for you and your family to head back to the Orbit to see them in action! You’ll also get to adopt the named hawk for the year and get a toy of the new mascots!